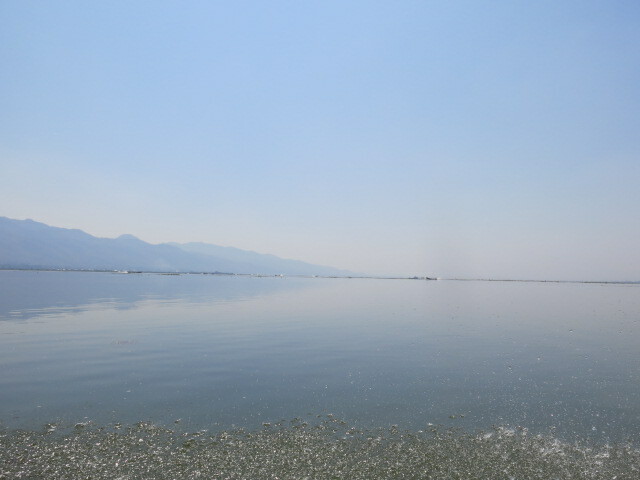 Inle Lake lies in the center of Myanmar (formerly, Burma) in the hills and heart of the Shan State. While only the second largest fresh-water lake in Myanmar with a surface area of about 45 sq. 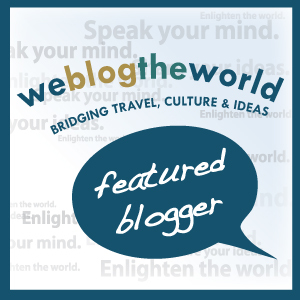 miles, Inle is unique: many of its native flora and fauna are not found anywhere else in the world. However, as the recently “opened” Myanmar attracts increasing numbers of tourists, Inle’s fame rests these days more on its indigenous people and their crafts than on the rarity of certain fish species. During our recent visit to Inle Lake we were continually amazed at some of the indigenous crafts of the lake’s denizens, as well as the sheer beauty of the lake. A visit to a local lotus fabric work shop absolutely stunned us. We’d never known you can make actual thread and cloth from the fibrous threads of a lotus plant. With Inle so shallow (7-12 ft. depending on the season) lotus plants abound. 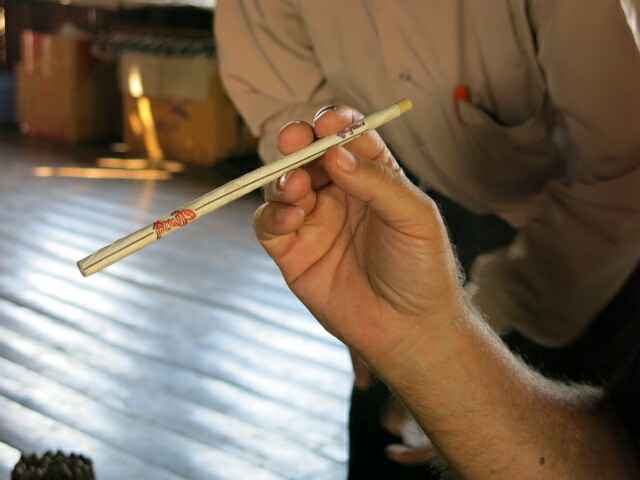 The long interior fibers of the stalk are stripped from the tougher husk, worked together into a thread, then spun onto a bobbin or reel. While men do the most of the reaping of the lotus plants out on the lake, the processing of the lotus fibers is done exclusively by women. The tradition and techniques of creating, spinning, dyeing and weaving the thread are usually handed down from one generation of women to the next. 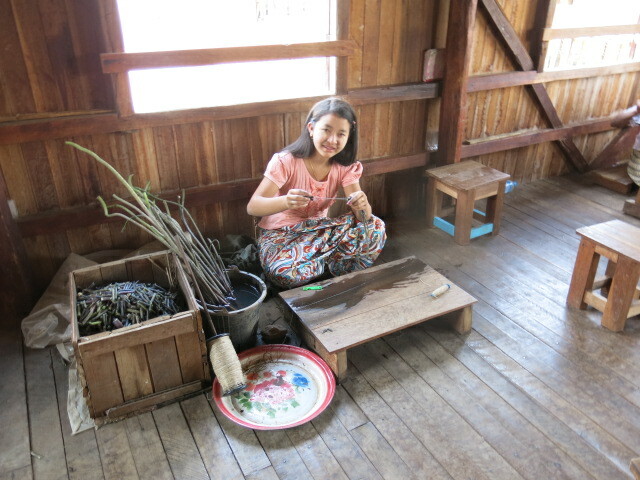 Young girl strips fibers from the husk of the lotus stalk. She cuts the usable portions of the fibers and blends them onto a spool of raw fibers. 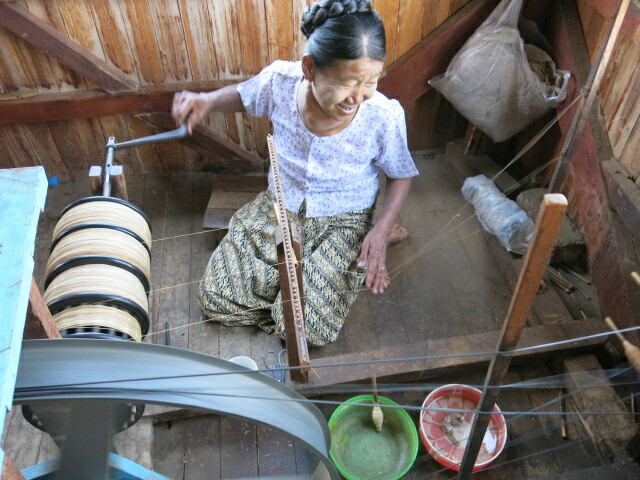 Woman blending several spools of fibrous thread into a thicker, stronger thread for weaving. The entire process is exceedingly labor-intensive with almost no mechanization. 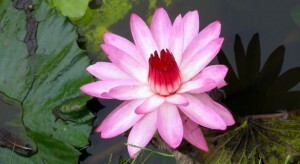 A small scarf can take over 4,000 lotus plants and a month to make, from stripping the fibers to the finished garment. The three robes of a monk (about 30 meters or 100-plus ft. of fabric) can require 220,000 lotus stems and months to process from raw lotus fiber to dyed thread to woven fabric. The spun, washed thread in its natural state is a dark cream to beige color, and nearly all of the thread is dyed before being woven into fabric. Historically, the women used natural dyes derived from flowers, fruit, bark, and other materials. These days it seems more expedient to use commercial dyes. Shanks of un-dyed lotus thread. 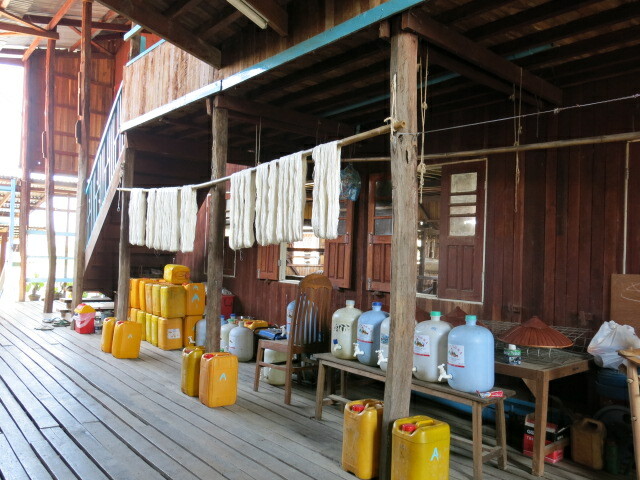 Note the tubs of dyes below. The dyed thread is hand-spun onto large spools, then the warp threads are affixed to a loom, and the actual weaving – the interlacing of the weft threads across the warp – is completed by an experienced weaver. The resulting fabric could be a solid maroon color, appropriate for the monks, or intricately patterned multi-color fabric. Very often the lotus thread is intertwined with silk thread to provide a smoother, finer fabric. 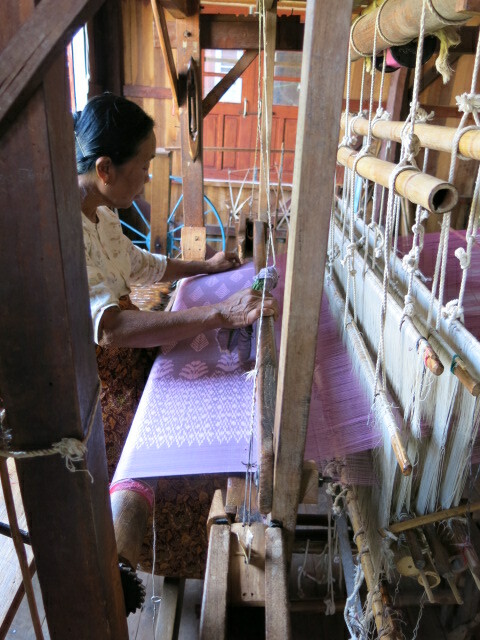 At the time of our visit, our guide told us lotus cloth weaving originated at Inle Lake over a hundred years ago: a woman wanted to perform an act of reverence for a local, prominent Buddhist abbot, so she spent months creating lotus thread, then spinning and weaving the cloth into robes for the monk. During her travails, she enlisted the help of female family members, teaching them her methods of spinning and weaving the lotus fabric. The abbot who received the robes was so impressed with the woman’s skill and workmanship that he blessed her with the name of Madame Lotus Egg. 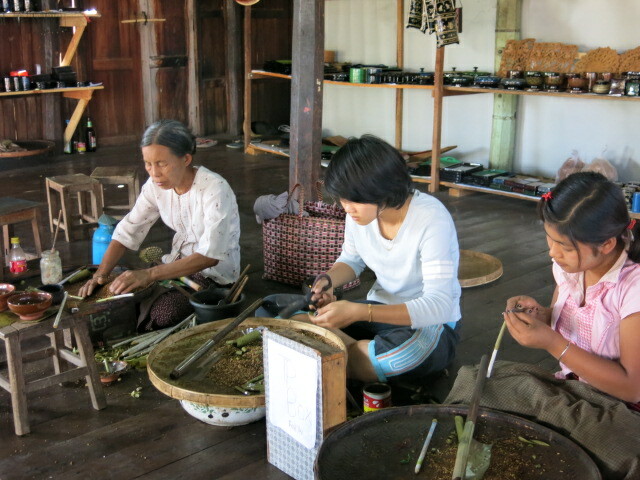 The woman continued to teach her female children and grandchildren the art of spinning and weaving the lotus thread, and thus the craft continues on at Inle today. In researching for more in-depth information about this craft, I found this tale came from a 19th century Buddhist text, and is oft-cited by the Burmese to explain the origins of their craft. However, it seems that lotus weaving began far earlier than 100 years ago, and was once wide-spread throughout Southeast Asia. 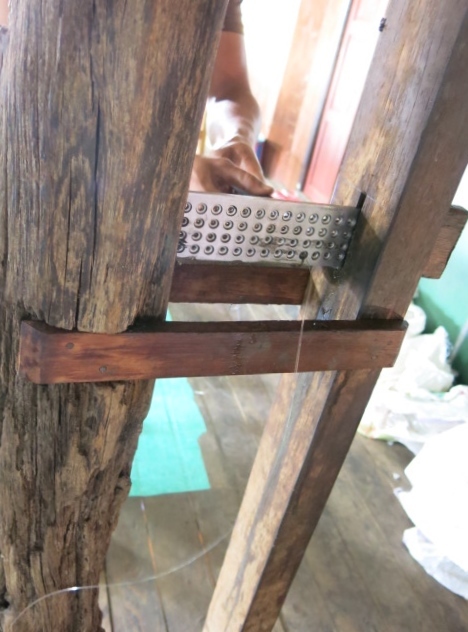 Today, this craft can be found in regions of Thailand and northern Cambodia as well as in Inle Lake. The cheroots are made from various herbs, both with and without tobacco. This enthusiastic saleswoman is displaying one of the mixtures, as well as the finished product. 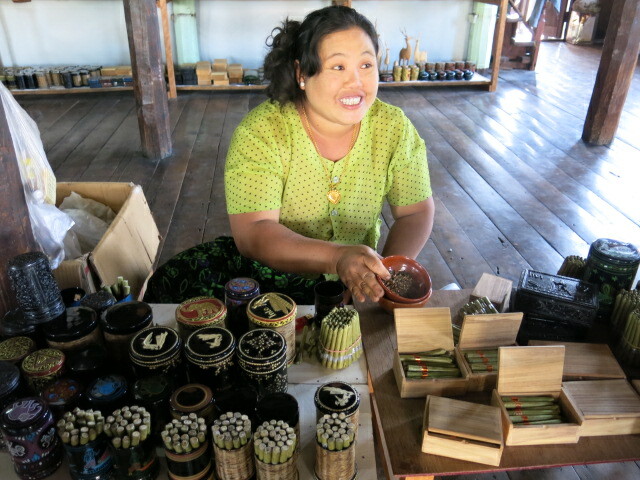 While any smokable item with tobacco in it usually turns my stomach and has my lungs screaming for air, a visit to a cheroot “factory” was a rather interesting and aromatic experience. A friendly woman with a great sales pitch explained the particulars to us. 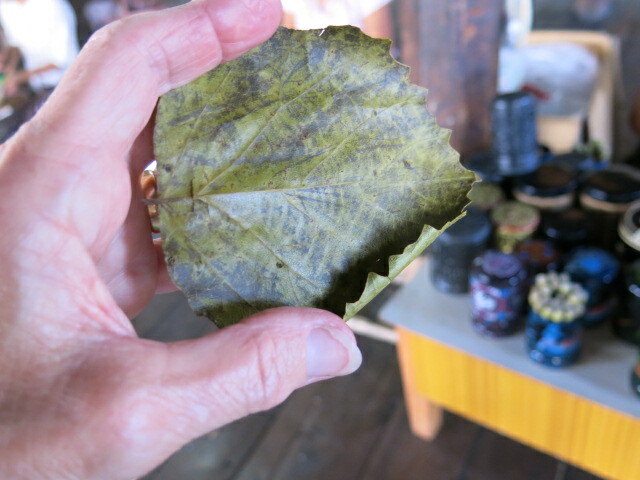 Star anise leaf used for the “skin” of the cheroot. The dried leaf of a star anise plant is filled with an assortment of dried herbs and plants and usually just a touch of tobacco. These “fillers” can be a wide variety of fruit or herb leaves, some sweetened with honey, ground cloves or aromatics, and rolled into thin cylinders. From watching the women work, it seemed they used multiple leaves overlapping one after the other to create cylinders several inches long. Rolling the cheroots. Note the tubs of herb mixtures in front of each woman. The cylinders were cut into cheroots of about 6-8 inches long, and the tips snipped down at both ends. And voilá: a cheroot. The taste (yes, I tried one) was fruity and mild, but not something I’d care to puff on a daily basis. One of the more interesting crafts was a black smith who used varying types of scrap metal to form tools, knives and ornamental metal wares. 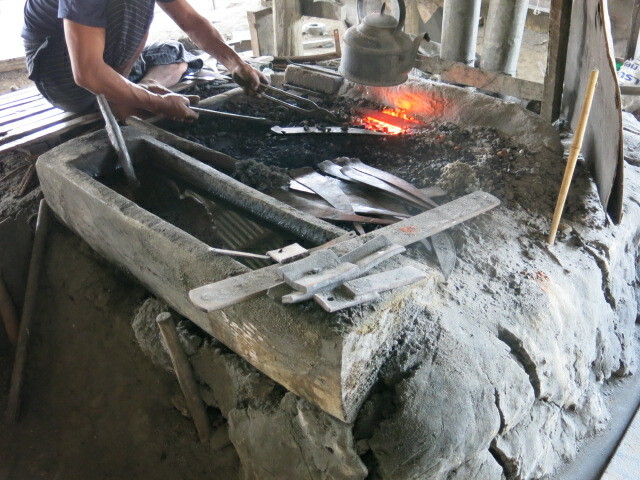 The day we visited, the smith was using steel parts from the underside of a car to shape into machete-like knives. At the time of our arrival, the smith had already melted and hammered strips of metal into a machete-like shape. Several of these blades lay in or next to the open flames of the furnace. Melting vehicle undercarriage parts for re-use as knives or machetes. The “furnace,” an open fire within a stone and mortar pit, seemed to use wood or a type of long-burning charcoal as fuel. Periodically, one of the smith’s assistants would pump up the flame with a hand bellows. Reheating partially shaped knives for the next step. The most interesting part of this operation was the pounding down of the thick metal pieces into thinner, knife-shaped forms. The process then required three of the assistants to hammer the glowing blade with sledgehammers. The chief smith used pincers to hold the red hot blade against a small, silo-shaped anvil as the young men swung and hammered rhythmically. Somehow, each kept within an alternating rhythm that delivered a maximum number of strokes to the glowing blade without braining each other with the hammers. A ballet of rapid hammering the molten blade into the desired thickness. Once the blades had cooled and been fitted with wooden handles, the smith hand-sharpened the blades with a primitive looking rasp. The result, large knives and machetes honed to a wickedly sharp edge. Look out Henckels! Honing the cooled blades to a razor edge. 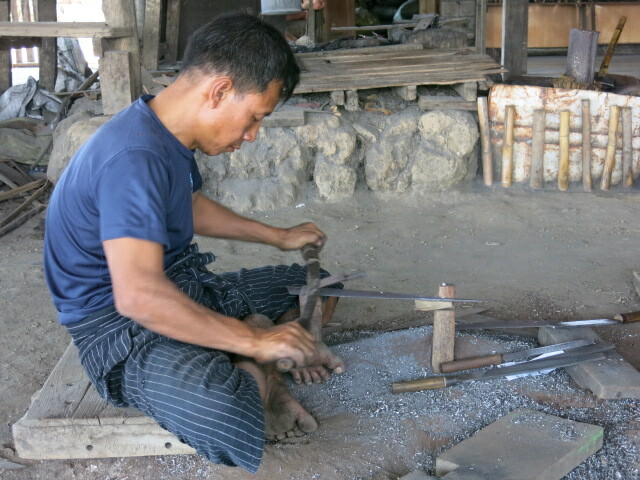 In days of yore, a silver smith would incorporate all the phases of silver production from extraction of the silver from ore, purification of the metal, fortifying the pure silver with alloys, its casting into ingots or bars, hammered into sheets, or “pulled” into wire, and, finally, the crafting of the metal into jewelry, coins, ornamental and service ware, utensils, or other objects. These days, it seems that most silversmiths work their craft from spools of wire, pre-fabricated jewelry parts, or silver sheet all mass-manufactured elsewhere. 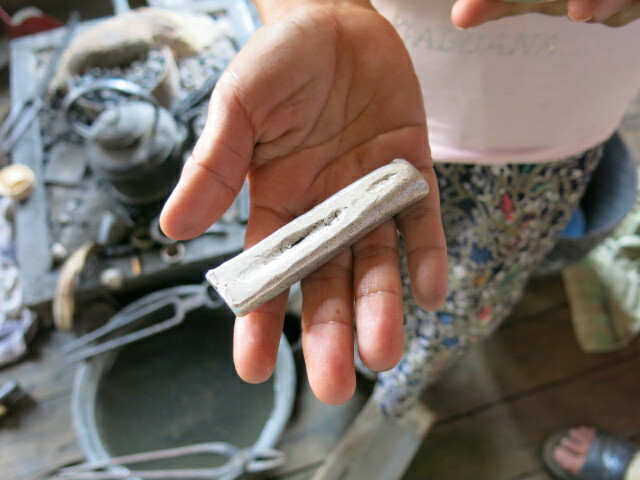 The smith’s wife walked us through the process, demonstrating the small stove and tools her husband and apprentices used to melt down and extract the metal from ore. Unfortunately for us, the smith wasn’t smelting that day; it would have been fascinating to watch the process. 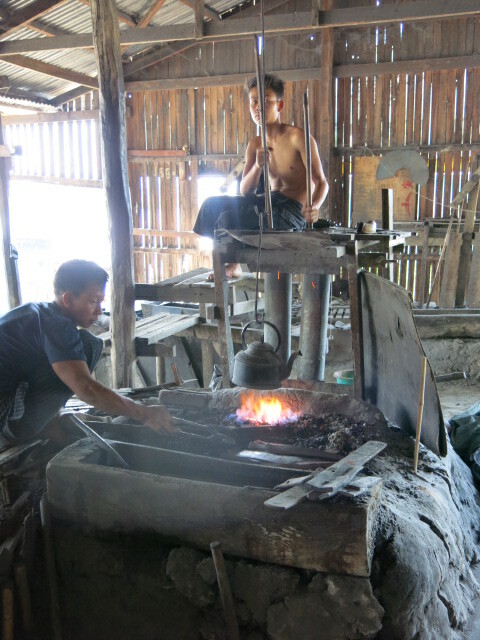 The woman explained that the extracted, molten silver is poured into molds that cooled into ingots of varying sizes. Depending on what the smith planned to make ultimately determined how much copper and other alloys were added to strengthen the silver, one of the softest of metals. This particular smith specializes in fabricating certain jewelry items as well as the beautiful silver bowls used by local monks to collect alms or placed by worshipers on altars with offerings. Each bowl is created by hammering silver sheets, then shaping the bowl to a decorative mold. Although alms bowls used by both monks and worshipers are more often made from lacquer ware or pottery, silver bowls are very popular during festivals and special occasions — and a favorite tourist purchase. 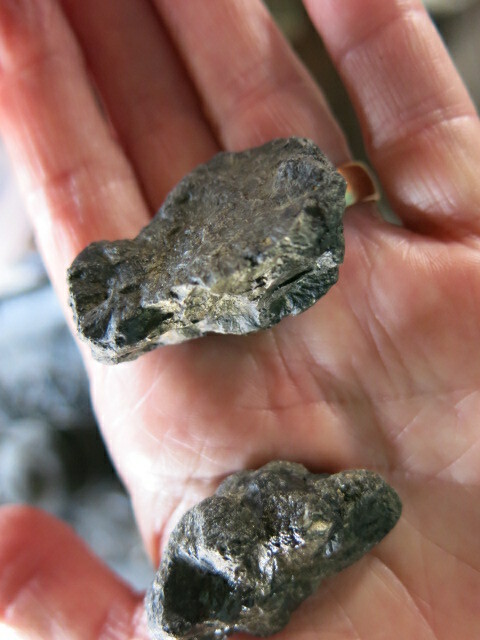 The smith smelts the silver into small ingots. The smith hammering and flattening an ingot as a young apprentice looks on. 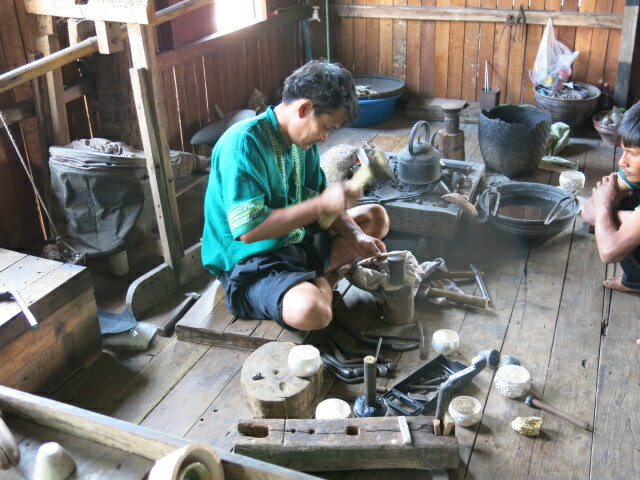 At the time of our visit the master smith was demonstrating to an apprentice his own technique in hammering and shaping silver into alms bowls. The smith’s various tools. 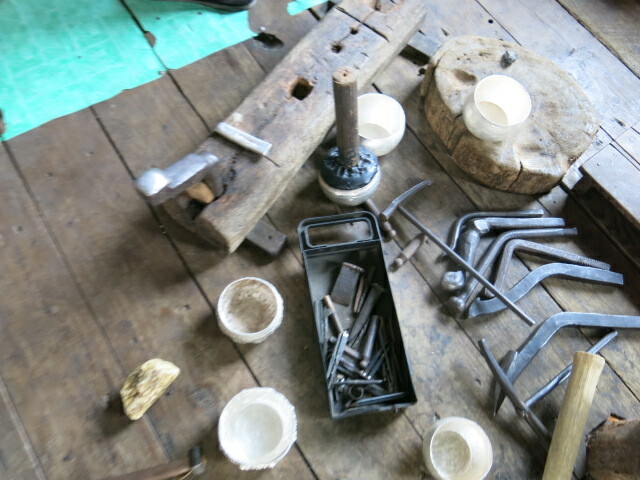 Note the several completed silver alms bowls and the bowl in process on the mold (at top center of picture). Another apprentice was hand-pulling silver wire through increasingly smaller holes of another mold to prepare wire thin enough to be used in filigree and in the coiled wire earrings that are another specialty of this workshop. Unfortunately, we weren’t able to see how the initial preparation and thinning of the wire take place; the apprentice was working with wire that had been hand-pulled earlier from thicker strands. The mold for shaping the silver wire as it is hand-pulled through. Pulling the soft silver wire through increasingly smaller holes can shape and thin the wire to the desired thickness. In a different section of the smith’s shop, artisans worked with small beads, wire, chains and small lengths of hammered silver to craft earrings, bracelets and necklaces. 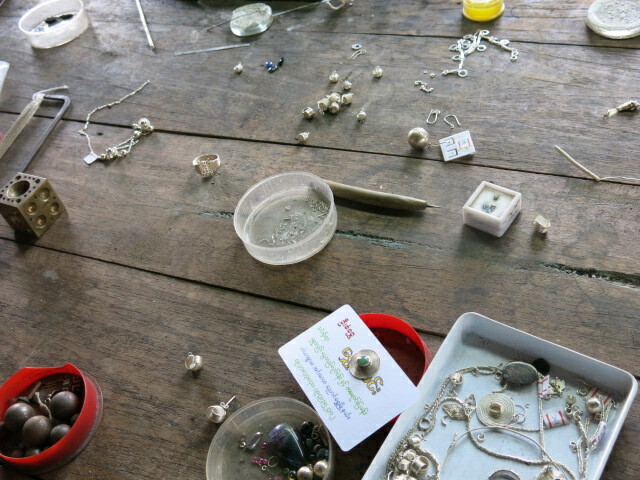 Various small pieces of silver, both cast and hand-formed, to be used in jewelry making. Note the coiled wire earrings which are a trademark of this smith (bottom,center on the business card). Also note the bead mold at far left, center. 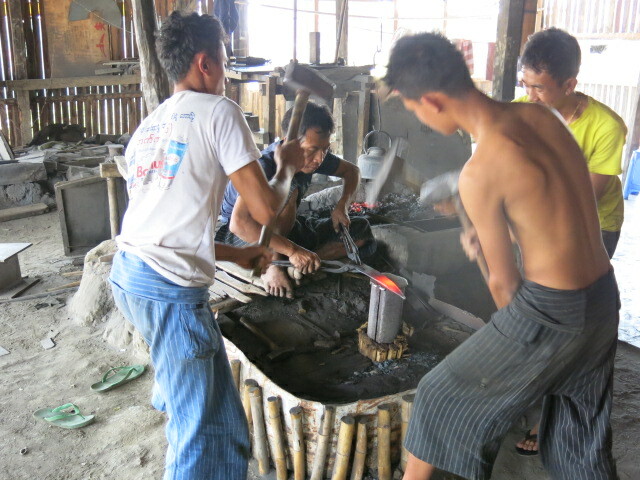 While we are big on learning local crafts and watching artisans at work, we are definitively not browsers and shoppers. Unfortunately for us, the entrance way to nearly every temple we visited throughout Southeast Asia was lined with hawkers displaying their wares, usually cheap touristy souvenirs, but occasionally genuine crafts. 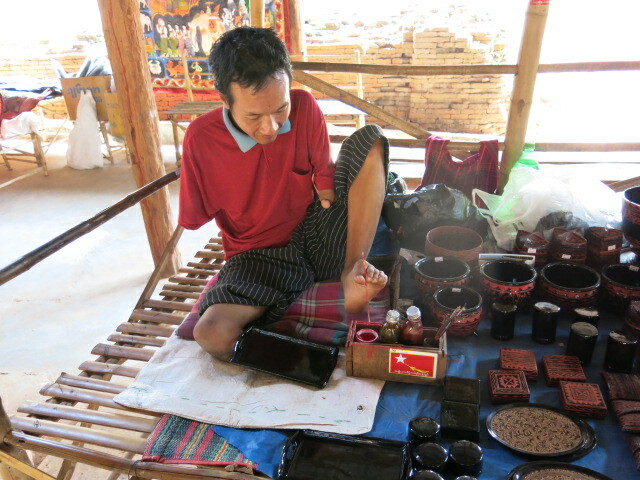 On our way up a very long hill to the Shwe Inn Dain Pagoda we spotted this man painstakingly painting using his one and only limb – his left foot – to paint simple designs on lacquer ware. The sight brought both of us to a dead halt. I’m almost embarrassed to admit we probably gawked. 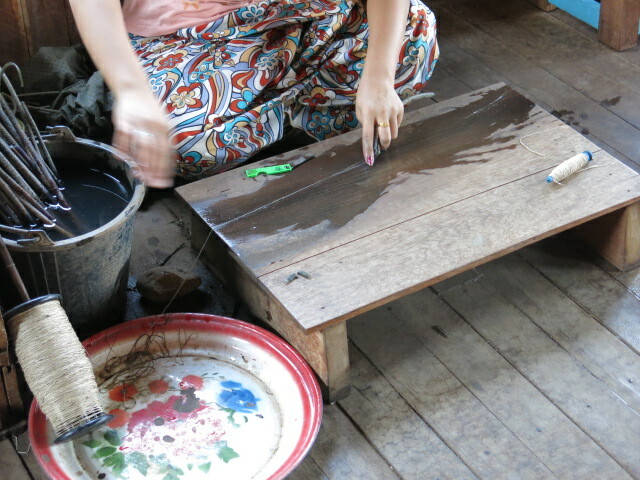 Our guide explained that this man had been born with only one leg, and had taught himself how to paint these simple border designs on trays. 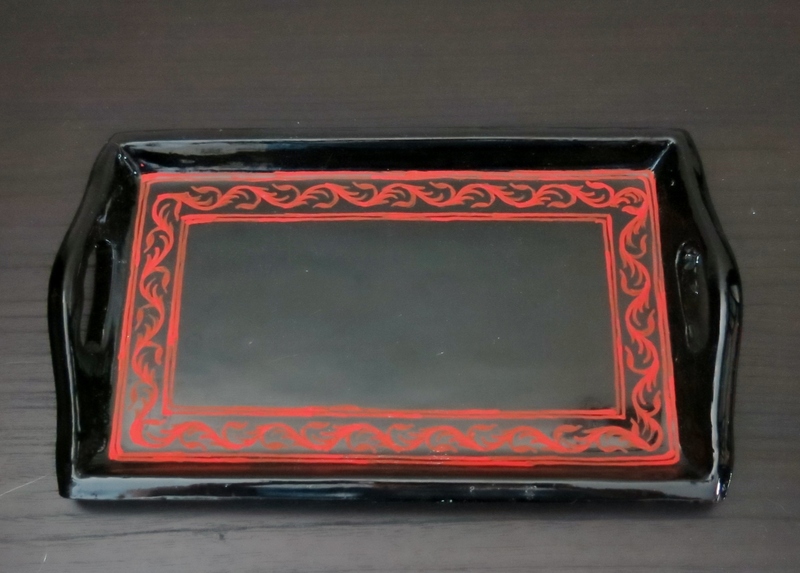 The blank trays and more intricately painted lacquer ware came from elsewhere in Myanmar, probably near Bagan, but the man supported himself by painting borders on the trays and selling the other lacquer objects. 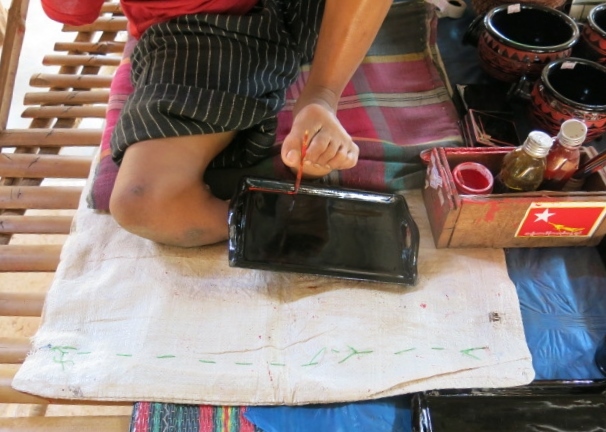 This artisan paints with one foot what most of us are incapable of doing with two hands. Fascinated, we asked him how long it would take him to paint a specific design on a tray for us, and with a shy smile, he told us he could have it done in about 20 minutes. When we returned from visiting the temple, our little tray was ready for us. The price? The man shyly proposed a price of only $7 USD — and we were truly dumbfounded for the second time that day. We gave him $10 and I still felt like we were taking advantage of him. Below is a close-in picture of the decorated tray, followed by a picture of how we are using the tray, as a display stand for my Cambodian Buddha head – an appropriate pairing, in my mind, of art, religion and culture. The tray, as painted by the artisan. 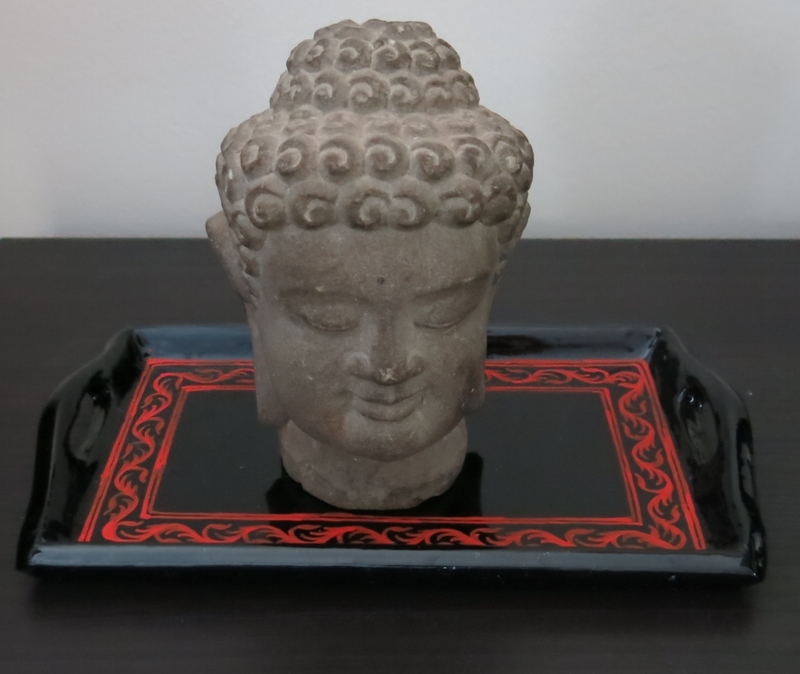 The tray now displays my Cambodian Buddha head. Together, the display brings tranquility and smiles to a corner of our house. 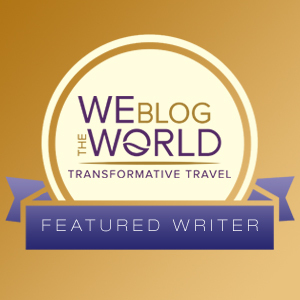 Stay tuned for more postings on our Southeast Asia travels!